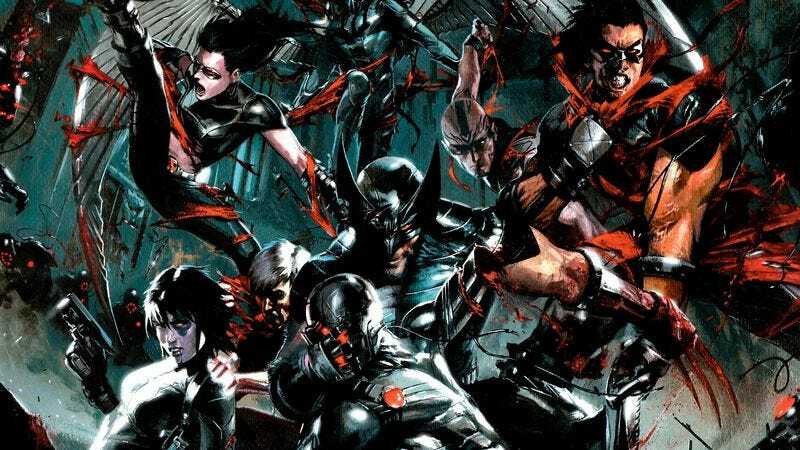 Fox was kicking around the idea for an X-Force movie long before the resounding success of Deadpool—in fact, the project was first proposed before X-Men: Days Of Future Past had even premiered, let alone been the twinkle in Apocalypse’s eye. But with Deadpool 2 already in the works with a rumored appearance from Cable, interest in the film has resurged. Bryan Singer, director of practically all things X-Men, recently attested to the production’s progress, indicating that he’s pitched an X-Force film, which could feature a female Wolverine. In an interview with Fandango, Singer discussed Wolverine’s “retirement plans,” which have presumably been spurred on by Hugh Jackman’s waxing-and-waning interest in the films. If Jackman really does decline to partially suit up as Logan again, Singer has proposed bringing the X-23 clone, who assumed the Wolverine mantle, into the fray. X-23, a.k.a Laura Kinney, made her debut in the animated series X-Men: Evolution before formally joining the Marvel comics universe. She was part of a Weapon X offshoot program, which gave her adamantium claws in her hands and feet. A highly-skilled assassin, X-23 eventually made her way onto X-Force’s black-ops team, with her fellow feral buddy Wolverine. Singer notes that the film is still in its early stages, with scripting duties now assigned to Simon Kinberg, who’s already said he wants to make this an R-rated movie. But he’s optimistic that the X-Men, X-Force, New Mutants, and Deadpool will eventually appear in one Avengers-esque film. Considering the New Mutants spin-off is also in development, with Maisie Williams playing Wolfsbane, that time doesn’t seem too far off.